Saving the planet has never been cuter. 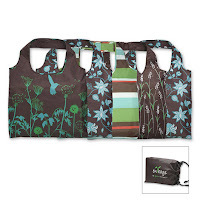 Plus, this is a very reasonable price for five high-capacity shopping bags. From Violet.